Jesse - Getting this project together, modeling, unwrapping, lighting, tagging, HUD work. Ki11a FTW - modeled the gun racks inside the bases. InvaderVeex - Helped model some original, unused scenery models and created the post game/loading images. 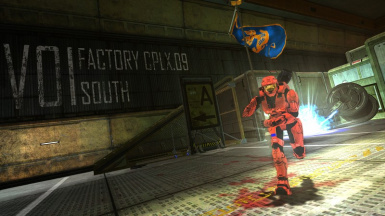 This Foundry conversion (from Halo 3 to Halo CE) is almost a community project, as so many people have contributed so many various things to it. 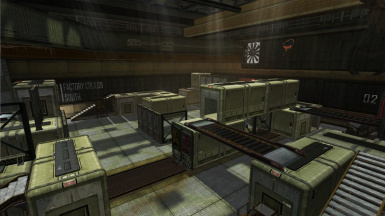 As you may know, Foundry was originally one of many multiplayer levels being meticulously converted over by H3MT back in 2008. 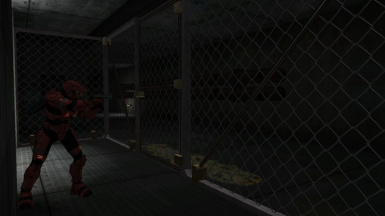 Because BSP extraction tools have been withheld from public access, all the level geometry has to be recreated by hand, by many of Halo CE's popular 3d modelers. Up until recently, many assets such as bitmaps, models, or animations were also somewhat of a rare commodity to encounter. There have been notable attempts at recreating a stylish, accurate representation of the Halo 3 tagset in Halo CE, arguably starting with Jesse's very own, but we have since settled for ZTeam's. 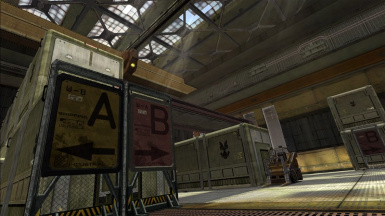 One of the many goals that were set by H3MT was to try and use purely custom content instead of directly ripping Halo 3 assets, we have thrown this idea out in favor of more accurate textures and scenery; the BSP, however, had to be custom. There are quite a few things that can be said about this project, as we've attempted to have the level appeal to more than just the players. We have organized not only the tag directories, but also the data and the scenario itself, to better assist future, thirdparty modifications. We take pride in having our level look so nice, while being completely independent of graphical hacks. While stating that, we should also make it clear that the lighting seen in the final product was not what you would normally achieve using HEK. We used a process that goes by many names, we like to call it "raytraced lightmaps". These use better optimized lightmap UVs to save space, and allow for a more realistic, high definition look. We have provided a supplementary release of useful files (including "blank" lightmaps) to allow for people to rebake lightmaps to suite their modifications to the layout of "Forgeable Pieces". Our included method is much more streamlined and to the point, but using HEK to render the lightmaps is also a redundant option available as an alternative. 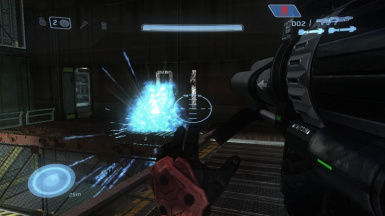 We have designed much of the level to be friendly to what could be best described as Forging in Halo CE. As of right now the only realistic method is to manually rip the level (some tags such as Forklift animations or HUD elements may break in the process, they will be provided in the supplementary release). 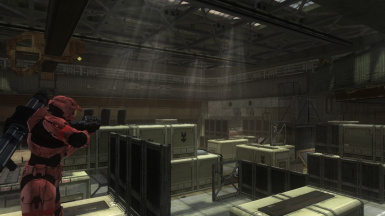 After you obtain the tags, Forging the level is as easy as moving SCENERY, VEHICLES, SPAWN POINTS, and NETGAME FLAGS to your desired locations using Sapien; giving the level a new name; and running a fresh set of raytraced or regular lightmaps. There are some objects in the scenario that ARE NOT meant to be altered, they have been made into static device_machines so that you cannot accidentally move them. 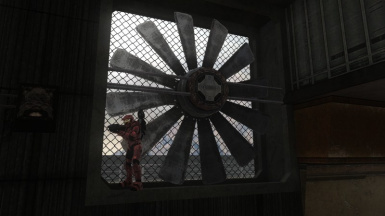 Some adept Halo scripters have designed scripts that allow you to Forge ingame with variable success, namely Kirby; we have not provided any support for this and have left the possibility up to anybody willing.